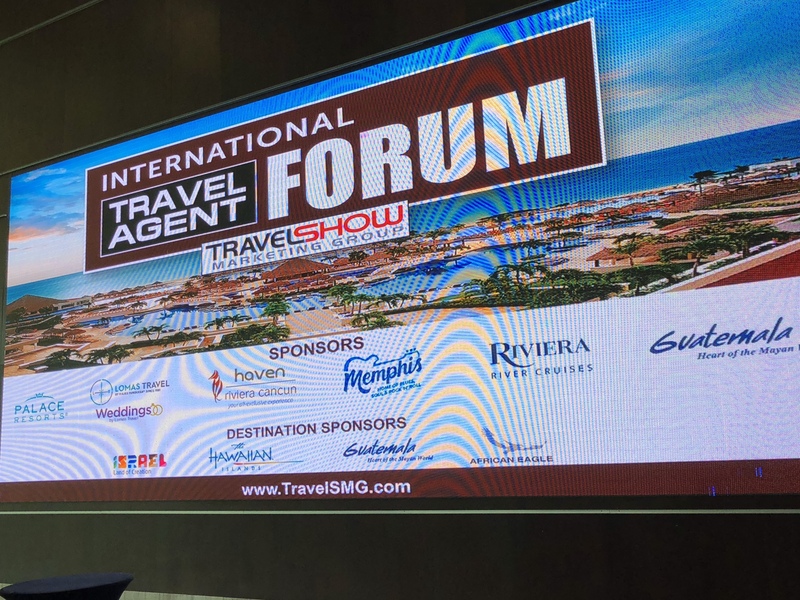 Recently as an honored Invited Guest we traveled to the International Travel Agency Forum held at Moon Palace Cancun. This conference allows CK Tours the opportunity increase our knowledge to better serve our guests. 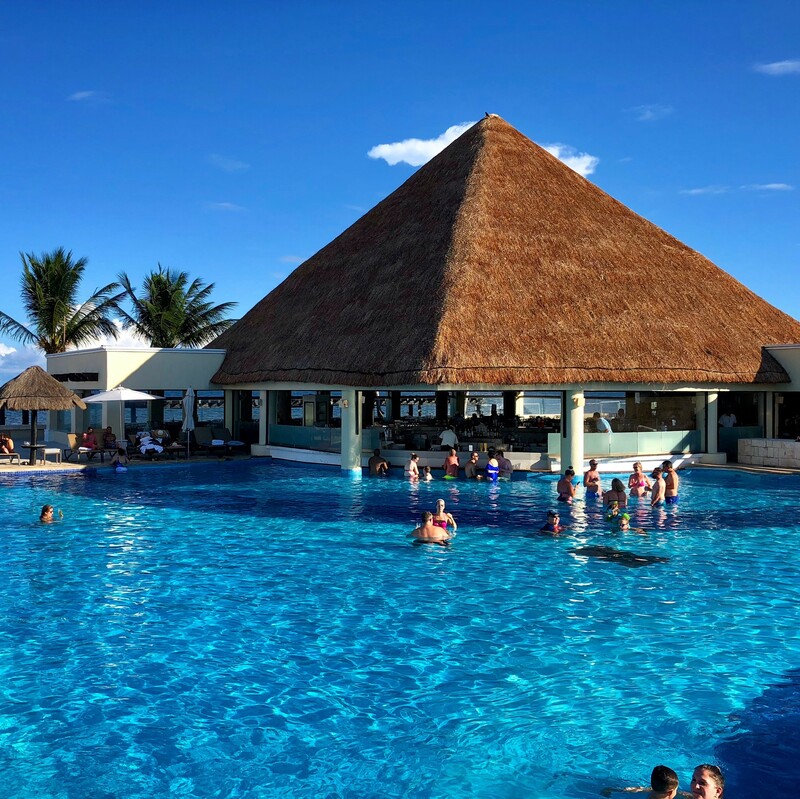 Below is a summation of our stay at Moon Palace Cancun and the conference. Cancun airport is constantly improving, now offering a global entry style self service immigration system, scan passport, follow prompts, print documents skip the long lines. Transfers were provided by our favorite provider in Mexico, Lomas Travel. The transfer were handled professionally and swiftly in a luxury SU. Check in to Moon Palace was smooth and easy, hand representative your passport and credit card used for incidentals. Rooms are typically not available until 3, but that doesn’t mean you have to sit around and wait. The fun starts as soon as you check in. The bellman will hold your luggage until your room is available. Hotel sends an email when room is available. While you wait for your room, grab a bite to eat, take a swim, lounge around the pool (Pro Tip pack a swimsuit in you personal bag for easy access) the whole resort is available to you. 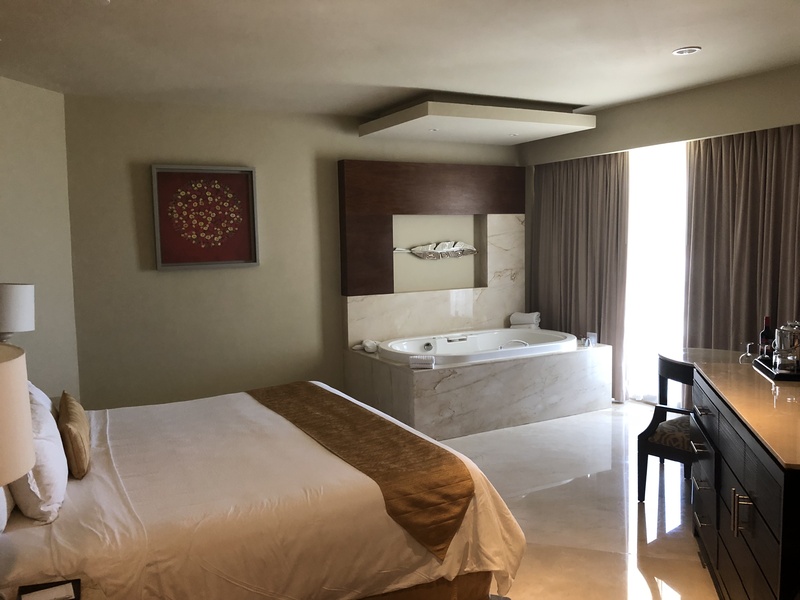 Rooms are nicely appointed with 2 person tub, rain shower, in room self service stocked fridge including 4 bottles (tequila, rum, whiskey and vodka) beds are very comfortable and come in King and two double bed options. The grounds of Moon Palace are beautifully kept, the facilities are in excellent condition. The one exception is the beach, unfortunately the beach is not swimmable due to an influx of seaweed, making the water murky and uninviting. The Pools are spectacular to compensate for the beach situation, the pools are huge and plentiful, divided by bridges with options for swim up bars, activity, family and quiet. Facilities include a Flow Rider surf simulator and water slide. A unique feature at Palace resorts is the Resort Credit included with your stay. Example, 5-7 night stays receive $1500 in resort credit that can be used toward Spa Treatments, Tours, including Swim with Dolphins. The small catch is for the portion of the resort credit used you pay a 16% tax, if you use all $1500 your out of pocket is $240, this is a bargain! Conference Facilities: you understand why so many events are held at Moon Palace, the facility’s are excellent with options from small breakouts to a massive convention center, top shelf facilities unlike any other offerings in the Caribbean. Classes: the peer to peer round tables where very informative with excellent back and forth on branding, email marketing and group management. One to one meetings: This was the highlight for me, the interaction with suppliers, properties and destinations we aren’t currently selling was spectacular. The ability to learn and get a higher level of confidence was amazing. I can’t wait to show you new destinations for us in Israel, South Africa, and Poland. New resorts like Grand Sirenis, la Sivory, Sandos, Reef Resorts and Valentine Resort. We’ve acquired access to a robust list of vacation homes around the world. Riviera River Cruises is looking like an excellent option for our guests in European River Cruises. Offering long boats like Viking with 20-30 less staterooms offering unparalleled public space for all. 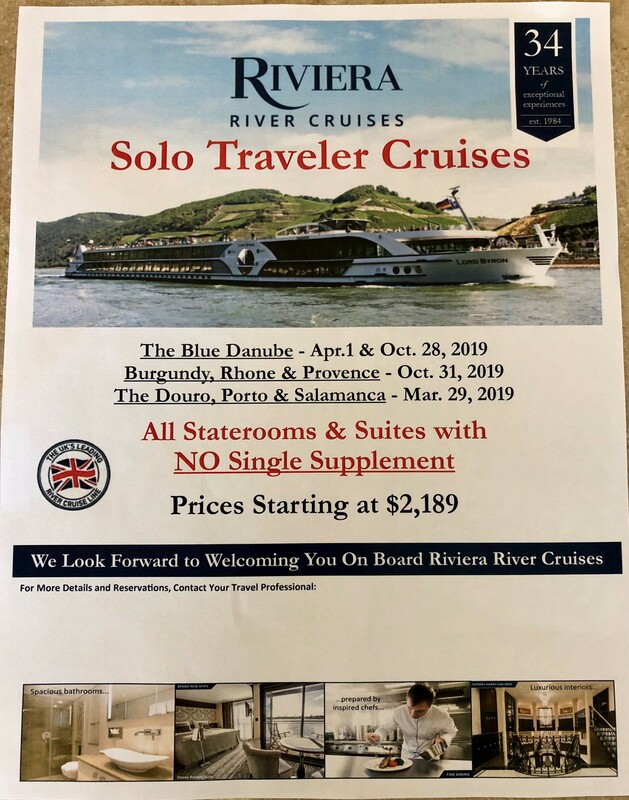 A special bonus on each sailing is the ability to sail solo without a single supplement (5 cabins per sailing) and several sailings in 2019 for solo travelers. In addition to attending the International Travel Agent Forum, we also toured an additional 10 resorts to supply additional information for our guests, stay tuned for our reports.